Mitsubishi Chemical Advanced Materials recognizes that sustainable development is a critical challenge and that the global business community has an important role to play in the achievement. Balancing social and environmental demands with economical sustainability is essential to fulfil our role in society in the future. As a member of the Mitsubishi Chemical Holdings Corporation (MCHC Group), we express our commitment to sustainable development through the vision “Realizing KAITEKI”. KAITEKI is defined as “a sustainable condition which is comfortable for people, society and the Earth, transcending time and generations.” In the Japanese language, KAITEKI stands for ‘comfort’. For further details relating to the KAITEKI vision, please visit the MCHC website. 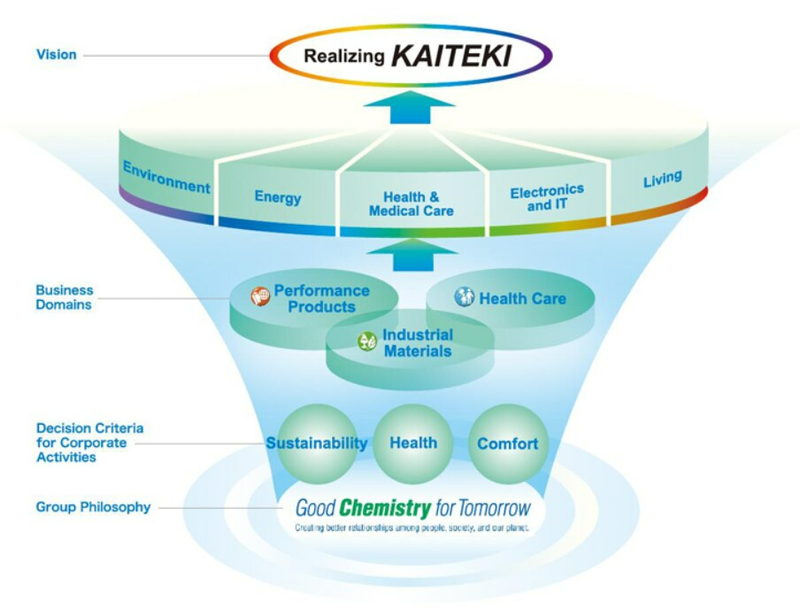 With the implementation of KAITEKI Management we strive to bring the KAITEKI vision at the centre of everything we do. 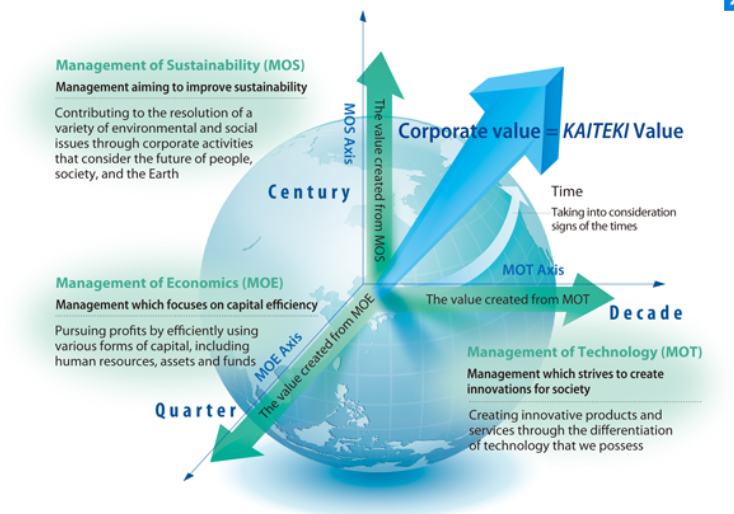 KAITEKI Management aims to balance the three core dimensions of our business: Management of Economics (MOE), Management of Technology (MOT) and Management of Sustainability (MOS). We will apply the MOS decision criteria – Sustainability, Health, Comfort – to identify new value creating activities and will be introducing MOS Index Targets to measure progress. Mitsubishi Chemical Advanced Materials is strongly committed to the safety of our people, and focus on the production of the highest quality materials. As an innovative manufacturing company and through our products and services, Mitsubishi Chemical Advanced Materials helps to protect and enhance the quality of life and the environment . We design products and execute processes that reduce the use of resources and meet global environmental standards, decreasing the footprint of our operations over time. We are committed to act based on sound ethics in all our business dealings and comply with the laws. Our standards of business conduct and ethics are defined by the MCHC Charter of Corporate Behaviour, which promotes a common understanding of the principles and values that guide the behaviours of our people. 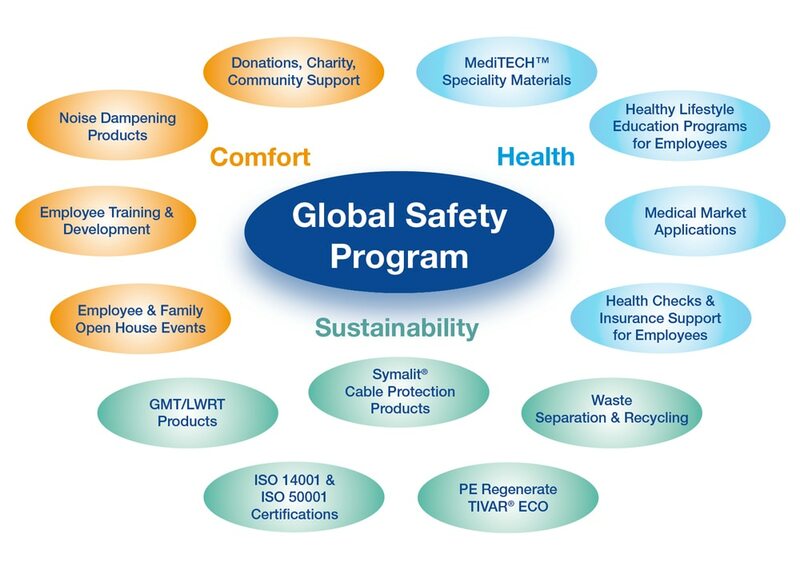 Participating in our ultimate holding company’s compliance training programs, we provide regular and ongoing awareness training to ensure a comprehensive understanding of ethical standards amongst our global teams.